Ford’s 2014 Focus contributing to huge sales jump in China last year. As automakers across the globe scramble for supremacy in the world’s largest economy, Ford has established itself as a fast-riser that’s gunning for the number one position in China. Ford’s China sales for 2013 rose 49 percent over 2012, allowing the Detroit-born automaker to overtake Toyota as the fifth-largest foreign automaker in the country. Throughout 2013, Ford delivered 935,813 units according to Bloomberg. This marks the first time that Ford outsold its competitor on an annual basis in China and makes for a sizeable feather in the cap of a carmaker aiming to increase its global profile into 2014. Ford’s China sales for 2013 benefited greatly from an expansion of import vehicle offerings, which grew to include the Ford Focus ST, Ford Fiesta ST, and Ford Explorer. When grouped with the Ford Edge, Ford’s four imported models sold 26,856 models in 2013, good for a 231 percent increase over 2012. 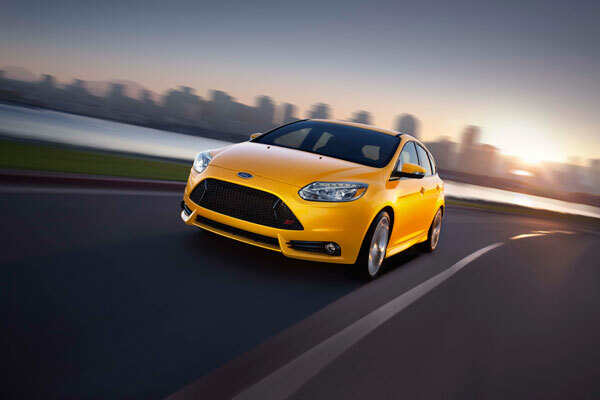 The Ford Focus was the head of the class for the brand in China this year, selling 403,640 units wholesale in 2013. This was good for a 36 percent increase over 2012’s wholesale figures, making the Focus one of the hottest-selling vehicles in China throughout the year. Additionally, 2013 saw the introduction of the Ford Kuga, Ford EcoSport, and Ford Mondeo; these vehicles had wholesale unit sales totaling 95,891, 59,680, and 35,747, respectively. Ford’s China sales for 2013 also saw considerable leaps in the joint venture Changan Ford Automobile (CAF) and commercial vehicle investment Jiangling Motors Corporation (JMC), who enjoyed 62 percent and 15 percent sales increases over 2012, respectively.